Select Equipment Co. stocks a wide variety of electrical busway systems from all the major manufacturers. We stock current model series busway to very hard-to-find vintage systems to help keep your facility running and assist in emergency situations when they arise. We are also a distributor for several electrical busway brands and can bid new construction projects as well. Call 888-459-5191 to speak to a busway expert about your project or for more information about any of our power distribution equipment for sale. 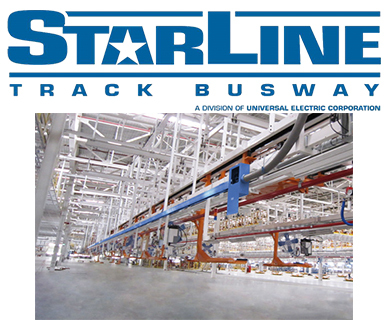 We are also a supplier of StarLine Busway systems for industrial applications. The 250, 400, 800 & 1200 amp series of StarLine industrial busway can handle the toughest of industrial mission critical facilities. StarLine manufactures some of the safest and most state-of-the-art busway systems in the world. Any of our expert sales associates can help spec the right electrical busway system for your facility. 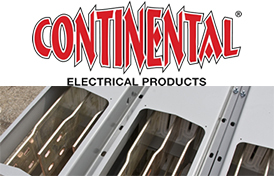 We are a supplier of Continental busway systems proudly manufactured here in the U.S. Continental busway is a perfect addition to our offerings because it is a direct replacement for vintage ITE Siemens BD Bustribution busway systems. We can supply entire new runs of power distribution equipment like Contiental busway and bus plugs for your manufacturing operations as well as one off pieces of duct for emergency situations when original BD duct has failed.